One of the many extraordinary things about this tiny little island we call Great Britain is that we consistently produce the greatest talent across the arts, music, design, literature and fashion and we are making a claim on technology too, says Justin Cooke, founder and chief executive of Tunepics. London Fashion Week was for many years looked upon as a second rate version of Paris and Milan. It has now firmly established itself as the most exciting place for both up-and-coming and established brands to showcase their point of view. Given the UK sales of online fashion account for some £10.7bn there’s good reason for it. Much credit must go to Natalie Massenet and Caroline Rush (chairman and chief executive of the British Fashion Council respectively) for creating a clear and concise strategy with digital innovation at the heart of it. Calling upon some of the most high profile brands and established names to help raise the status of London Fashion Week well beyond the sector, that’s what great brands do they go outside of their circle and redefine the category. British design talent is everywhere that matters – think Jonny Ive at Apple and Claire Waight Keller at Chloe. Hunter recently tapped Alasdhair Willis to turn a wellington boot into a fully diversified global brand. Then there’s a whole wave of talents like Christopher Kane, Henry Holland and JW Anderson blazing a trail with their eponymous labels. The bar was set the moment Burberry came home in 2009. 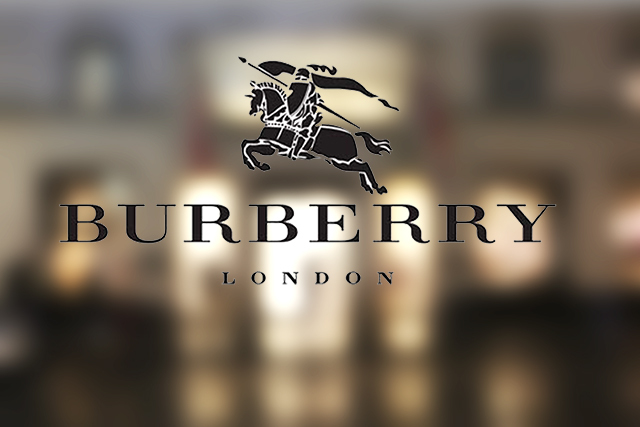 Now one of the slickest and most luxurious global brands in the world, Burberry sit alongside super brands like Apple, Nike, Google and Airbnb. Under the direction of the masterful Christopher Bailey (who recently took up the helm as CEO alongside his existing chief creative officer role) Burberry has quietly become the perfect case study of what modern luxury stands for – expertly expressing their brand through original content and powerful campaigns that connect with a young audience while at the same time continuing to deliver effortlessly elegant luxurious product for their core customer. This is the overriding factor that makes Burberry the envy of all marketers in the world and a position that every company should seek. Every season Burberry manage to create a new and more compelling experience for the audience having been the first to stream a fashion show live in 2010, they went on to be the first company in the world to stream live in 3D (even before the television and film companies thought of it). Whether its creating a theatre with a spectacular rain finale or by having the coolest people in the frontrow, the musicians of the moment performing and the best British models, many of whom’s careers they kick start by putting them in their ad campaigns or before their vast audience of millions across their social channels. What Burberry do particularly well in the content and entertainment space is tell a story that makes them relevant to multiple audiences. Whether it’s the beauty, the fashion, the music or the technology. This season Burberry worked with Twitter to allow instant purchase from the tweets and had musician James Bay strumming live on the catwalk (who is also performing at the iTunes Festival in Camden next week) as the models paraded down the symbolic trench coloured runway, Bailey never misses a detail. But the high-street as always has caught on quickly. Luxury has a huge influence on the high-street and they’re getting better and better at closing the gap between style and price, even if the quality cannot always match up to the untrained eye, the difference is minimal. They’ve also been inspired in the technology space having successfully partnered with Facebook and Google to bring the Topshop show to millions. Sir Phillip Green proudly professed that their Facebook page allowed customers to view key looks from the collectionbefore the runway began – and others are catching on. The question is what will be the next innovation given that everyone is now playing the same game? The answer is almost certainly in wearable’s and what our clothes can do. This with the launch of the Apple Watch they did what they’ve always done. They took a space that existed, looked at all the products on the market, all the insights and made it cooler and better and relevant. Step forward Studio XO and the incredibly talented Nancy Tilbury and Ben Males (these guys made Lady Gaga’s flying dress) they are pioneering emotional technology and opening up our senses. 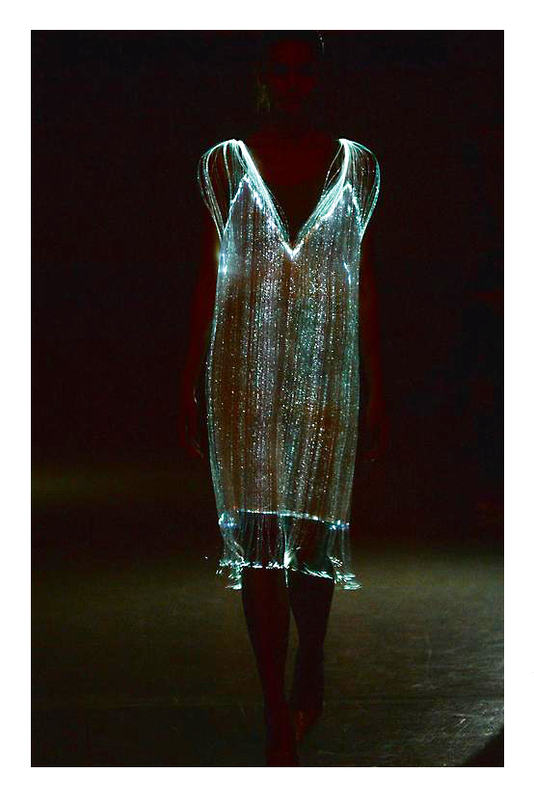 Their partnership with Richard Nicoll on this season’s runway where the dress quite literally "lit up" is just one example of that (see right). I believe that in the future there will be fewer retailers with fewer stores, everything will be sold through a handful of companies (rents and physical shopping aren’t sustainable). Amazon are the first example of this, but they’re not right for every sector, someone will create the place for fashion and related categories, who knows maybe it will be Apple but whoever it is will have to be cool enough to allow multiple brands to live in that space and different enough that they don’t compete. Apple and Louis Vuitton could sit together one day for example and maybe acquiring beats is the start of a lifestyle path they are creating. The second is that people will wear clothes, but what we see will not be what they’re wearing, think green screen but everyday life, it might sound crazy but it’s not that far away.